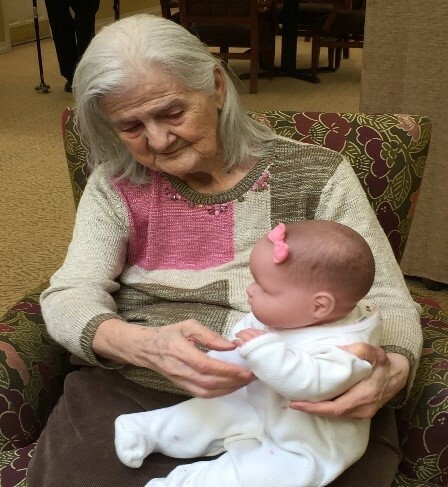 Luella Florence (Ebensperger) Gigliotti, 90, of Dunstable, MA passed peacefully in her sleep on January 17th, 2019 after a long illness at Atrium of Drum hill in Chelmsford, MA. Born in Utica, New York on December 31st, 1928, she was the daughter of the late Francis Blanchard and Clarence Ebensperger, and was married to the late Michael Gigliotti. Luella is survived by a daughter, Maria (Gigliotti) Poor, a son, Michael O. Gigliotti, and a grandson, Chadwick E. Poor. She also had a second son, Gary F Gigliotti, whom she lost six months ago. She had a love for dancing, Bingo and dogs. The family would like to thank all the personnel at Atrium for the wonderful care and compassion Luella received during her illness and her 4 ½ year stay at the Atrium, and the act of kindness towards the family when she was no longer a patient. Memorial contributions in Luella's name may be made to the Lowell Humane Society, 951 Broadway St, Lowell, MA 01854. A funeral Mass will be held at 9:00 AM on Friday, January 25th, 2019 at St. John the Evangelist Parish, 115 Middlesex St, North Chelmsford, MA 01863.